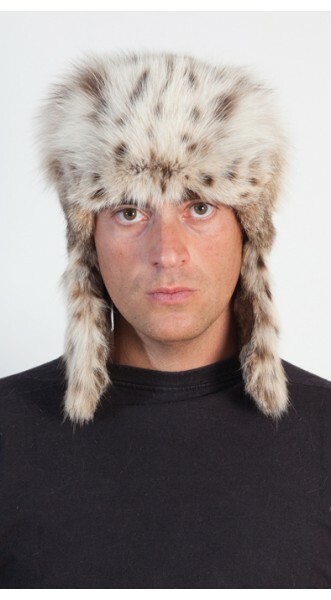 Classic “Greenland” fox fur hat. Extremely warm..
Beaver fur scarf - "Champagne canadian beaver"
FREE WORLDWIDE DELIVERY - ON ALL ORDERS ! Free Delivery to EU countries within 6 - 8 days. (Austria, Belgium, Bulgaria, Cyprus,Croatia, Czech Republic, Denmark, Estonia, Finland, France, Germany, Greece, Hungary, Ireland, Italy, Latvia, Lithuania, Luxembourg, Malta, Netherlands, Poland, Portugal, Romania, Slovakia, Slovenia, Spain, Sweden, United Kingdom). Free Delivery to Europe outside EU within 6 - 12 days. (Albania, Andorra, Armenia, Azerbaijan, Belarus, Bosnia and Herzegovina, Georgia, Iceland, Kazakizstan, Liechtenstein, Moldova, Monaco, Norway, Macedonia, Russia, San Marino, Serbia and Montenegro, Switzerland, Turkey, Ukraine). Free Delivery - Other World Countries within 7 - 12 days. (United States , Canada, Alaska, Antarctica, Greenland, Australia, Oceania States, South American States, Central American States, Caribbean States , Western Asia States , South-Central Asia States , Eastern Asia States, Africa States). Courier Delivery Service to Austria, Belgium, Luxembourg, France, Germany, Italy, Netherlands - 14 €. Courier Delivery Service to Czech Republic, Denmark, Estonia, Latvia, Lithuania, Romania, Slovakia, Spain, Sweden, United Kingdom - 19 €. Courier Delivery Service to Bulgaria, Finland, Greece, Hungary, Ireland, Poland, Portugal, Slovenia, Croatia, Cyprus, Malta – 23 €. United States and Canada - 19 €. Australia and Russia - 19 €. 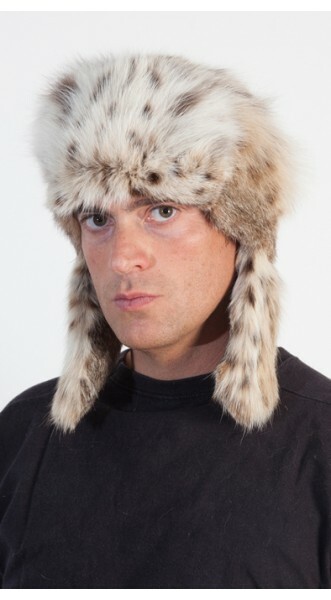 Ø If a fur accessory gets wet, do not dry it near heat sources, but rather in ventilated and dry spaces. Ø Do not cover fur accessory with any plastic materials; it damages fur causing the fall out of fur hair. Ø Never spray perfume on fur: it may discolour fur; in addition, the leather may go dry. Ø In the hottest period of the year, if you have a fur accessory in the wardrobe, we strongly recommend you to leave it in a ventilated space and away from direct sunlight and not too close to other clothes as fur accessories need space. Ø Moreover, in the hottest period we always recommend you to let fur breathe; for example, in every hot month by taking the fur accessory to a fresh and airy space like a balcony or a terrace for a few hours a day. This must be done in order to avoid the appearance of moth larvae. Ø Finally, in hot weather we advise using a moth killer, for example naphthalene as it prevents the formation of larvae. We accept all major Credit Cards. By Paypal Payments Pro, Virtual Terminal POS. With PayPal, you can make fast and secure online payments. PayPal is online payment system where you can create your Paypal account and sign up safely for PayPal online payment system and create your personal online bank account! It is also possible to pay via PayPal without a PayPal account. Sign in as a PayPal guest and pay with your debit/credit card. 3. Payment by bank transfer. Dear client, you have the right to withdraw from this contract within 14 days without giving any reason. To exercise the right of withdrawal, you must inform us ‘‘ Pellicceria Amica snc, Via Monte Genzana 14, 65124 Pescara, Italy, E-mail info@amifur.com, Tel. +393313222961 or Tel.2 +37065082229“, of your decision to withdraw from this contract by an unequivocal statement. You may use the attached model withdrawal form, but it is not obligatory. -Or a letter sent by post to: "Pellicceria Amica snc, Via Monte Genzana 14, 65124 Pescara, Italia. You shall send back the goods or hand them over to us [Pellicceria Amica snc, Via Monte Genzana 14, 65124 Pescara, Italy, E-mail info@amifur.com, Mrs Rapuano Lorella is authorised to take back the goods], without undue delay and in any event not later than 14 days from the day on which you communicate your with drawal from this contract to us. The deadline is met if you send back the goods before the period of 14 days has expired. We will bear the cost of returning the goods. Pellicceria Amica snc, Via Monte Genzana 14, 65124 Pescara, Italy. We also sew articles to individual orders; the only thing you have to do is to contact us either by e-mail or phone. Amifur offers stylish and warm fur accessories to both women and men. Amifur Company is located in Pescara – Italy. All our Products are manufactured and shipped out of Pescara – Italy. Amifur Address: Via Monte Genzana 14, 65124 Pescara – ITALY. Where do your items ship from? Our Items ship from Italy. All our fur accessories are Made in Italy from quality natural fur. We ship all over the world. Free postal shipping worldwide. What types of shipping methods? How to take care of my fur accessories? Does Amifur have a return and refund policy? Does Amifur have a Guarantee? Our fur accessories are Made in Italy only of natural fur. Amifur guarantees this fur product’s workmanship and fur quality for 6 months from the date of purchase, of course assuming normal use. How do I determine my fur hat size? My fur hat doesn't fit, it’s not the right size, What can I do? In case you want to change a product (for example, to ask for a different size), you can write by email to: info@amifur.com. If I buy a fur hat from you, can I return it if it doesn't fit me or suit me? I have a big head. What is the largest fur hat size that I can order? by e-mail info@amifur.com. ( For example Hat size 3XL 64-65 cm). Is it safe to buy on Amifur? Yes, all credit card payments are done through a secure server. We have also a Comodo SSL Certificate Partner Program. Is it easy to buy on Amifur? Why do our clients trust us? Amifur is now partner of trustedshops. Trusted Shops is the European Trustmark for online shops with money-back guarantee for consumers. Trusted Shops offers a comprehensive service to raise online trust and safety for the benefit of both online merchants and online buyers. Why to buy on Amifur? On Amifur eshop you can find stylish and warm fur accessories to both women and men. Our products are sewn in Italy only from quality natural fur of mink, fox, raccoon and other kinds of fur which you will buy at really attractive prices. We also sew articles to individual orders; the only thing you have to do is to contact us either by e-mail or phone. All our fur Products are made of quality genuine fur. All our Products are Made in Italy. Online shopping in Amifur is really easy and extremely safe. Amifur is glad, because all our clients are happy and satisfied. We hope you will enjoy our online shop and our excellent goods! AMIFUR MADE IN ITALY. Amifur © 2019. All Rights Reserved.